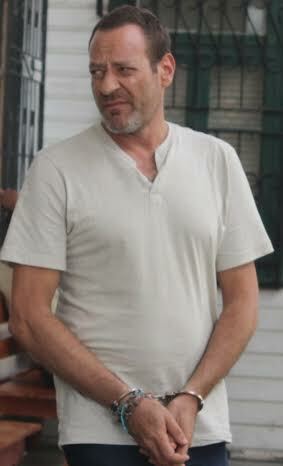 47-year-old David Miguel Nanes Schnitzer, who was arrested in San Pedro Town on Tuesday, November 3rd, was brought before the Belize court on a single charge of producing a forged document. Nanes Schnitzer was arrested following a special operation conducted by the San Pedro Police Department, International Criminal Police Organization (INTERPOL) and the US Marshals Service, as he is wanted in Mexico for involvement in the Allen Stanford Ponzi scheme. Before being extradited, Nanes Schnitzer will need to face charges before the Belizean tribunal for having an invalid driver’s license. After his arrest, Nanes Schnitzer was remanded to the Belize Central Prison and first appeared in court on Friday, November 6th where he pled guilty to the charge of having a fraudulent driver’s license (SP-2269) which was found on the day of his arrest. On his second hearing on Friday, November 9th, Nanes Schnitzer changed his plea from guilty to not guilty under advice from his Attorney-at-law Liesje Barrow Chung in hopes of being granted bail. But Chief Magistrate Anne Marie Smith still denied him bail, as he presents a high flight risk. Nanes Schnitzer will not appear in court again until Tuesday, December 4th, when Magistrate Smith with give her final ruling. At the same time, INTERPOL and Mexican Authorities are attempting to make an intervention to gain custody of Nanes Schnitzer from Belizean Authorities so he can be prosecuted in Mexico for his involvement in the defrauding of over a thousand Mexican investors.